Langley, BC, Canada is situated at the confluence of the Coquihalla and Fraser Rivers and is surrounded by the looming Cascade Mountains, lush green forests, wildlife and some alpine lakes. The City of Langley is often referred to as the "Horse Capital of BC" because much of the geography of Langley, especially in the outlying areas, is agricultural tourism, farm lands and horse ranches. Top attractions, adventures and activities most enjoyed in and around Langley, BC, Canada and the surrounding areas are golfing, horseback riding, hiking, picnicking, camping, sightseeing, biking, kayaking, canoeing, farm tours, wine tours, off roading, and fishing. Throughout the Langley region there are over 40+ parks and green space areas measuring over 122 hectares (300 acres). Some of the more popular parks and trails include Derby Reach Regional Park, Nicomekl River Flood Plain Trails, Brae Island Regional Park, Langley City Park, Sendall Gardens, Ponder Park Nature Reserve, Glen Valley Regional Park and the Campbell Valley Regional Park. What are the Accommodations, Services and Amenities in Langley, BC? Langley places to stay, services and amenities important to travelers include accommodations (resorts, hotels, motels, inns, bed and breakfasts (B&Bs), vacation homes, cottages, cabins, lodges, hostels), campgrounds, tours, guides, outfitters, attractions,] nightclubs, restaurants, laundromat, coffee shops, wineries, breweries, ]spas, grocery stores, pubs, liquor store, banks, gas station, gift stores, and internet service. There are sightseeing attractions, historical sites, entertainment venues, and cultural events in and around Langley, British Columbia. Some of the top museums, art, entertainment, and cultural venues to visit includes the Fort Langley National Historic Site, Canadian Museum of Flight, Langley Centennial Museum, and the BC Farm Museum. 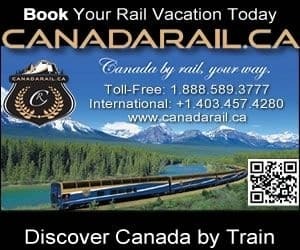 How Do I Get To Langley British Columbia? Transportation services getting to and from Langley, British Columbia include the main highway of course (Fraser Highway), and then there is taxi, bus and the (YVR) Vancouver International Airport (45 minute drive - 48 kms) and the BC Ferries Tsawwassen Terminal (40 minute drive - 44 kms) and Horseshoe Bay Terminal (50 minute drive - 66 kms). eh! Plan to Visit Langley, BC today.